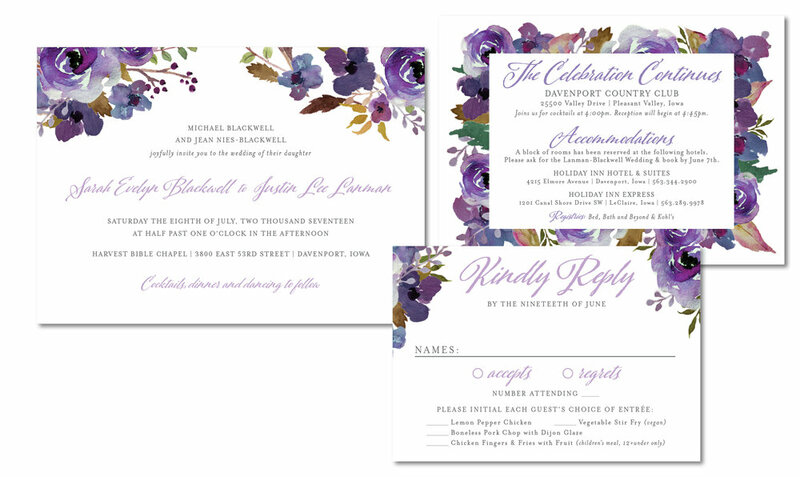 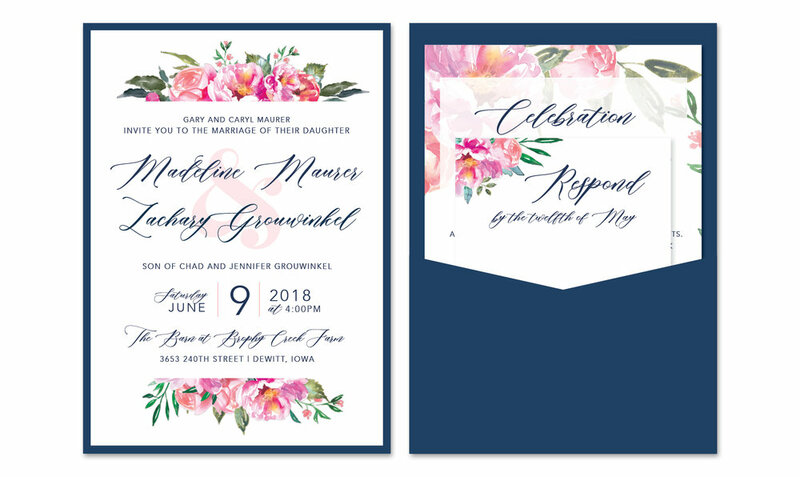 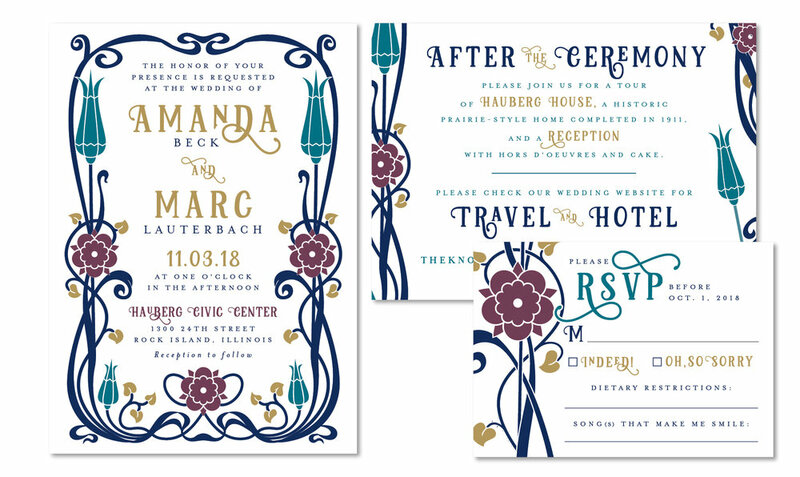 Custom wedding invitations by Noted Design are designed by an experienced graphic designer and are created with input from YOU throughout the whole process. 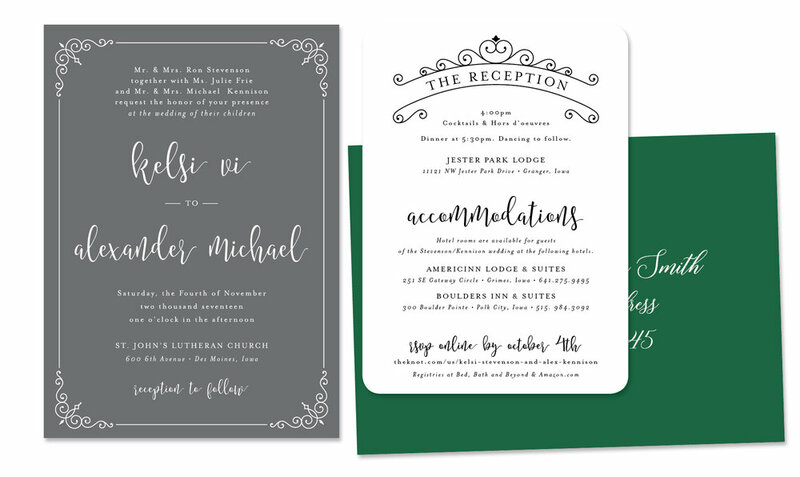 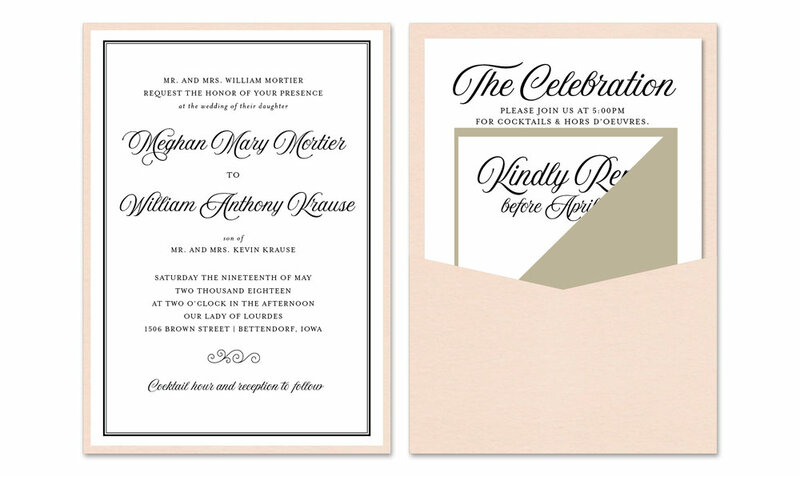 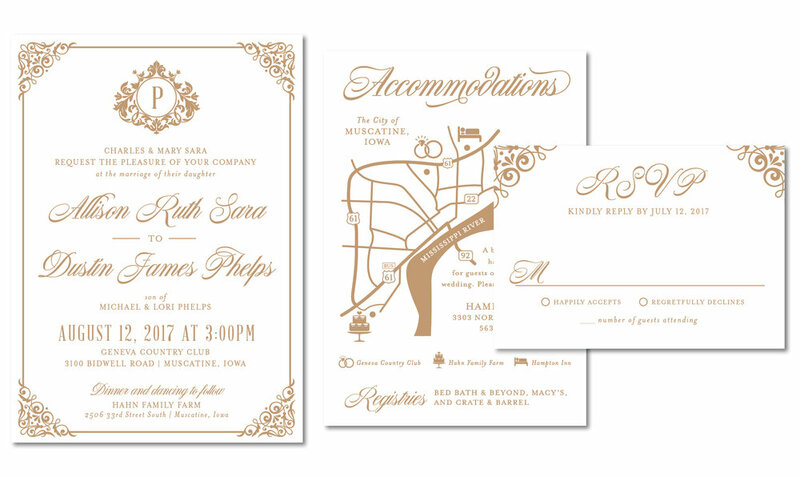 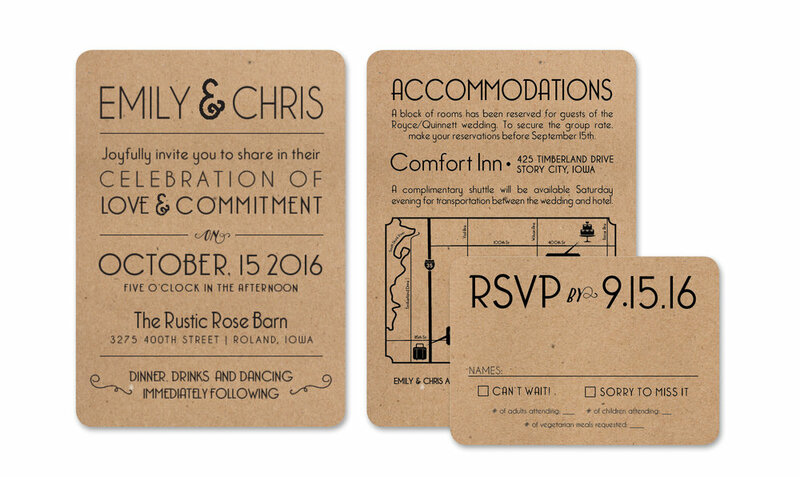 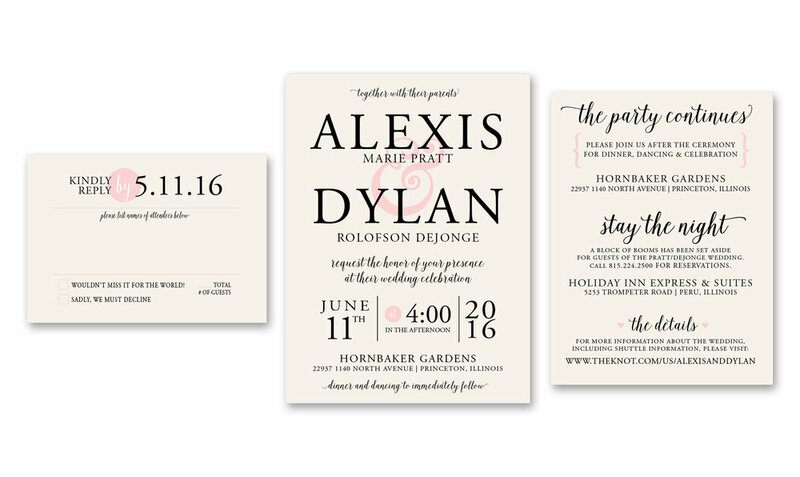 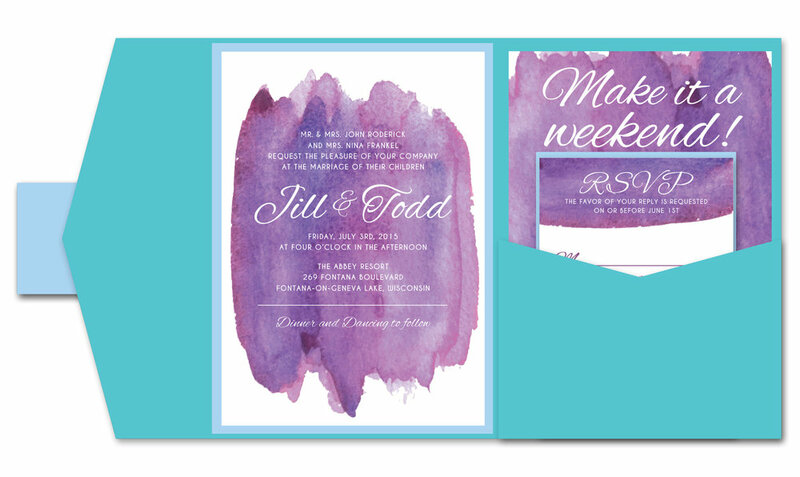 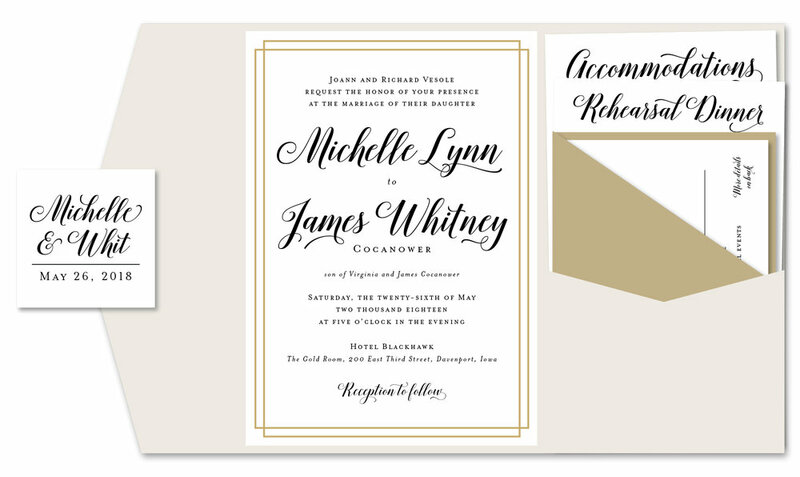 Professionally printed on thick, luxurious cardstock, our invitations are nothing short of remarkable. 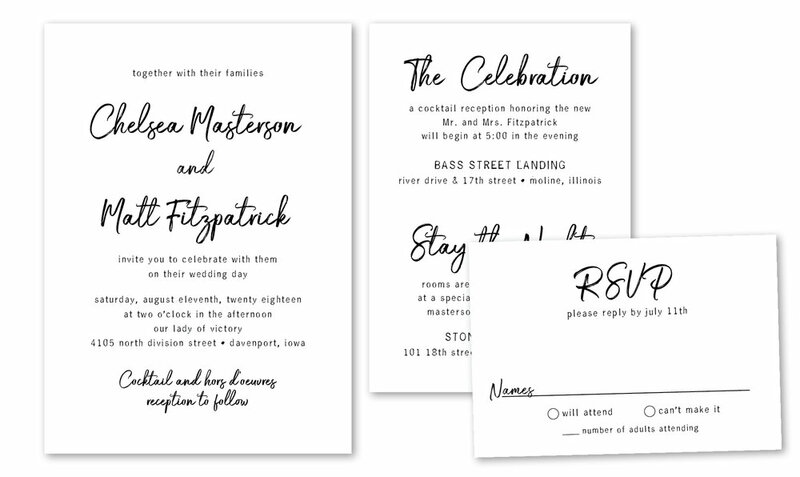 Set your guests' expectations high for your best day ever. 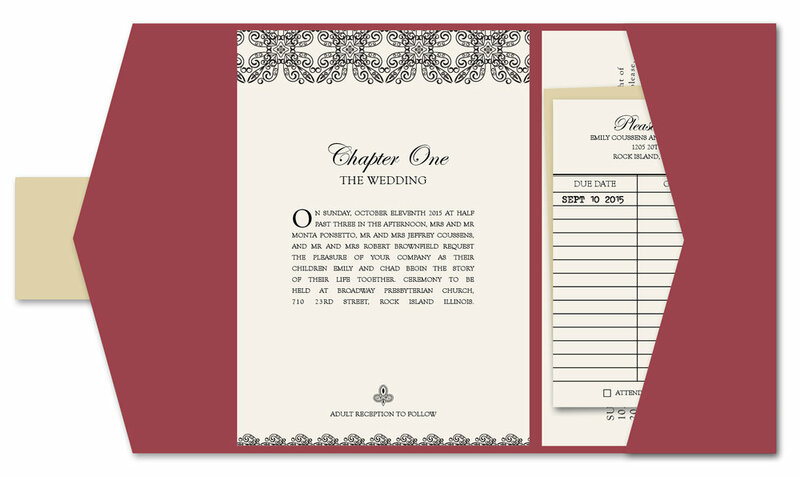 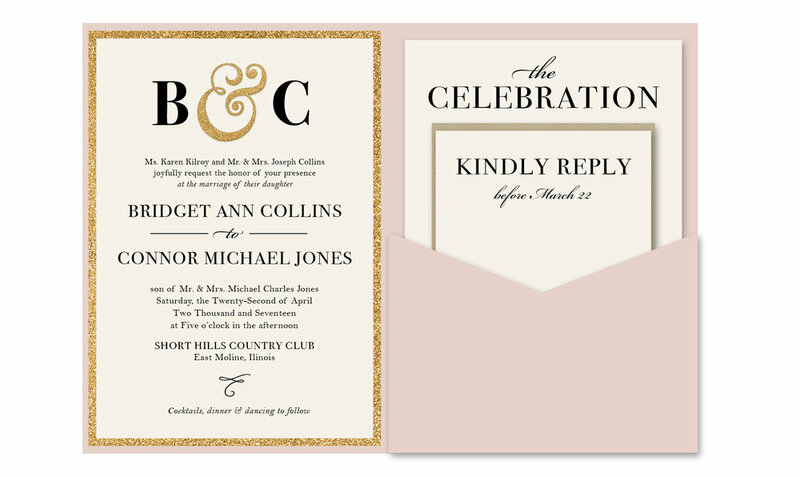 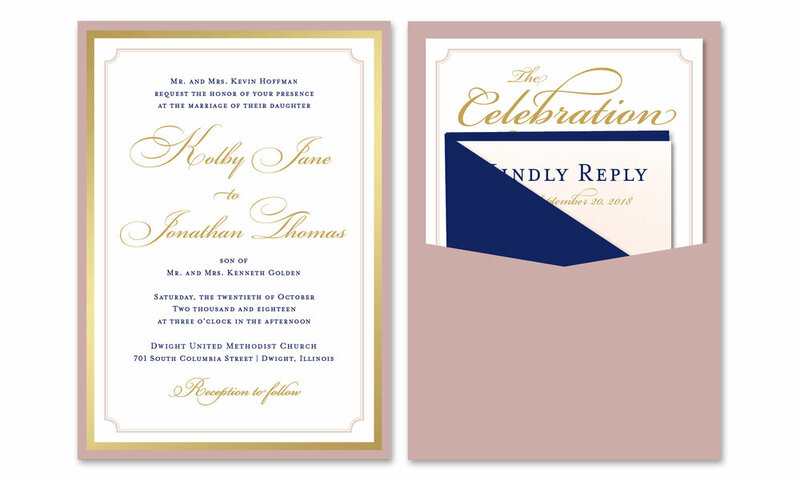 Below are examples of some custom invitation orders from previous years. 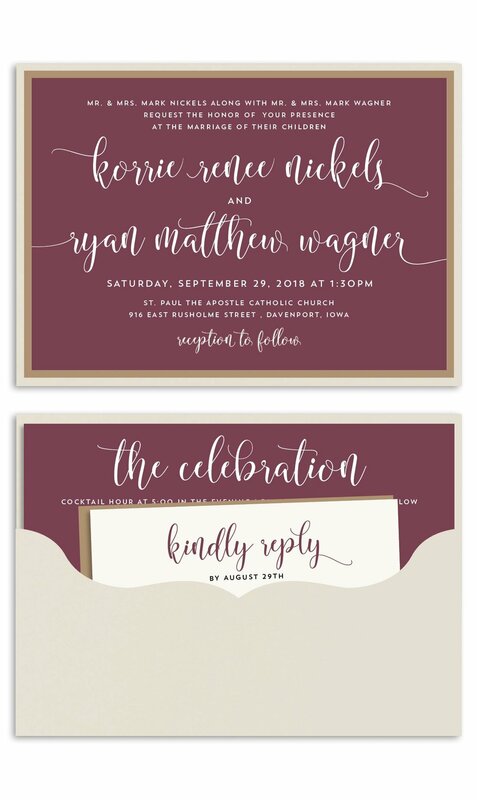 Just imagine what can be done for you!